As a part of the Detailed Project Report (DPR) of Sankosh Hydropower Project approved by the Government of Bhutan and India in 2017, a team from relevant stakeholders met with the people of Dagana yesterday. They met with the people of Tsirang today. The public consultation meetings are held as per the clearance requirements of the National Environment Commission (NEC). According to the finalized DPR, the main dam will be constructed at Karmaling Gewog while regulating dam will be constructed near the Lhamoidzingkha town. Unlike other hydropower projects, the project will be a Reservoir Based Hydro Operation. The backflow of the river from the dam would travel back up to 45 kilometres till the Changchey Bridge in Tsirang. The 2,585MW Sankosh Hydroelectric Project, which was estimated at around Nu 150bn would be the biggest hydroelectric project in the country and in the region. “We can imagine the manpower, capital resources and expertise requirement. And all these have directly or indirectly contributed to taking a step-by-step approach in coming up with this Sankosh project,” Ugyen, the Chief Engineer of Department of Hydropower and Power Systems, said. Meanwhile, people looking forward to the project to begin soon so that they can reap the benefits. “We met with officials several times and gave them our statements and agreements. We live in a remote place and we have acknowledged that we would give our land if it falls under projects map. I was told that a road would be constructed through my land and I am excited. I am planning to construct a house and open a shop, ” Gangpa from Drujeygang, said. “We heard about the project when we were small. But this time we are convinced that it is coming soon. And we are grateful and delighted. I am a shopkeeper and we are hoping for better business once the project begins,” Sangay Lhamo said. Government of India would be financing the project on a debt-equity ratio of 70: 30, which means 70 per cent of its total cost will be on loan and the rest would be a grant. Once commissioned, the project is expected to generate over 6,000 million units of electricity annually. At a tariff of Nu 4.57, Bhutan would earn more than Nu 30bn in a year. The post Dagana residents look forward to Sankosh Hydropower Project appeared first on BBS. The Tourism Council of Bhutan (TCB) says they will be working towards balanced tourism development in the country. The government has approved the TCB’s flagship programme to promote balanced tourism. The programme will be implemented in July this year. TCB says seasonality meaning only certain months see good numbers of visitors and unbalanced regional spread are two main challenges in the tourism industry. They attribute the challenges to the lack of access to air transport and inadequate promoting strategies of the tourism industry. “People who come here do not have enough time to travel by road. So they look for frequent scheduled flights to different parts of the country. Also, we are not able to give specific reasons on why they should go to Samdrup Jongkhar or Tashigang or Lhuentse compared to Paro and Thimphu,” Damcho Rinzin, the Media Spokesperson of TCB, said. Apart from branding and marketing the regions that receive minimal visitors, TCB said facilities in terms of good accommodation and guiding services are also contributing factors discouraging visitors. TCB is planning to collaborate with media to create awareness on the tourism products and facilities. The council shared that they have developed products for low seasons as well. In the current plan, the tourism flagship programme’s three components of focused dzongkhags, project-based and accelerated programmes will work on countering tourism challenges. Under the focus dzongkhags, the council has identified four districts of Lhuentse, Dagana, Gasa and Zhemgang. “If you want to travel to Lhuentse, we have to bypass so many dzongkhags. so other dzongkhags will benefit in that way. These dzongkhags have been getting less number of tourists. Under the project-based programme, other dzongkhags that are not under the focused dzongkhags will have at least one special project,” Damcho Rinzin said. The project will have tourism services such as bird watching, water-based tourism attraction or heritage tours. Similarly, under the accelerated programme, there will be activities to support the overall development of the country such as creating employment opportunities, straightening human resources and their skills and developing products and infrastructure. Through the tourism flagship programme, Bhutanese can expect to reap greater tourism benefits while achieving the goal of making tourism as the top travel destinations in the world. The post TCB to promote balanced tourism development through flagship programme appeared first on BBS. 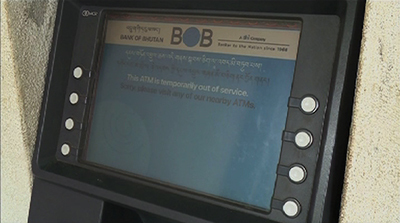 Dissatisfaction in banking services was the main complaint from the tourists who visited Bhutan last year, according to the Bhutan Tourism Monitor (BTM) report 2018. More than 28 per cent of tourists expressed their dissatisfaction in the banking service during their stay in the country. The tourism exit survey report stated that some visitors were completely dissatisfied with the limited number of exchange counter, point of sale and the poor ATM services. The report also pointed out that more than 16 per cent of visitors were not happy with the communication services while close to 14 per cent of visitors were not satisfied with toilet facilities in the country. “We have realised our own people, Bhutanese don’t really help us to keep toilets clean. Some people do not flush properly and some even smoke inside the toilets. We need more numbers of toilets but our biggest challenge has been finding good people to manage toilets,” Damcho Rinzin, the Media Spokesperson of TCB, said. However, in other services and facilities more than 80 per cent of the visitors indicated they were satisfied. Among the six attributes used to measure visitors’ satisfaction “Value for Money” topped among international tourists, meaning the services availed during their stay in the country was worth the money that they paid for the visit. For regional tourists, guide services have the highest score followed by accessibility to services. The Tourism Council of Bhutan (TCB) surveyed more than 3,500 visitors using administered questionnaires at various exit points in the country. More 274,000 tourists visited last year of which 71, 000 were international tourists. The post Tourists dissatisfied with banking services according to BTM report appeared first on BBS. 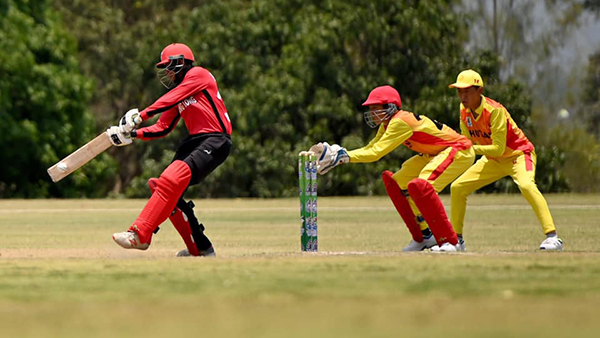 Bhutan’s under-16 cricket team lost to Hong Kong by eight wickets ending their run in the ongoing Asian Cricket Council Eastern Region Cup in Thailand. Bhutan needed to win this match to progress to the semifinals. Batting first Bhutan managed to score a meager 42 runs, which the Hong Kong players chased down with ease. The Bhutanese team’s only win came against China on Monday. The post Bhutan’s U-16 cricket team loses to Hong Kong appeared first on BBS. The United Nations Resident Coordinator in Bhutan Gerald James Daly presented his credentials to the Prime Minister Dr Lotay Tshering at Gyalyong Tshogkhang yesterday. He is the first Resident Coordinator in Bhutan after the repositioning of the UN Development system which was adopted by the UN General Assembly, last year. Prior to his current appointment, he was the Resident Representative of UNDP and UN Resident Coordinator in Thimphu. He had also served as WFP country director and representative in Thimphu. Speaking to the media yesterday afternoon, the UN Resident coordinator in Bhutan, Gerald James Daly said UN agencies in the country will focus more on working together in areas of disaster preparedness and response, data and disability. At present, there are 23 UN agencies in Bhutan. The post UN Resident Coordinator presents credentials to Prime Minister appeared first on BBS. To ease trading, improve accessibility and to encourage wider participation in the stock market, a mobile application called m-CaMS was launched yesterday. Developed by the Royal Securities Exchange of Bhutan (RSEB), the mobile app is integrated with the online trading platform, Capital Market Solution. The mobile app is designed to accelerate RSEB’s role and its contribution towards achieving the financial and digital transformation of the economy. With this app, the investors will not have to call a broker to purchase and sell stock. According to the RSEB officials, the app can create an informed market where informed decisions related to trading can be made. The app offers trading instruments such as equities and debts and management of risk in pre-trade. It also accepts customer’s orders and immediate transaction among others. RSEB, the only exchange in the country was established in August 1993. The post RSEB launches m-CaMS to provide online trading platform appeared first on BBS. Bhutan moved 14 places up in the 2019 Press Freedom Index, released by France based international non-governmental organization, Reporters Without Borders. Bhutan is ranked 80th out of 180 countries this year. 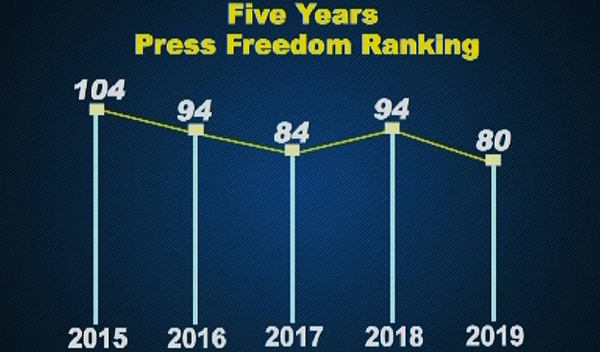 While the ranking has improved, as per the Bhutan Media Foundation (BMF), the Bhutanese media and people should not get too excited or worried about the press freedom ranking. “This year it’s a big surprise Bhutan has improved 14 places, which it doesn’t reflect the ground realities here. In the past one year, I haven’t seen any change in terms of press freedom. So I don’t think we should be too much excited or too much worried about the ranking going up and down by the year,” Needrup Zangpo, the Executive Director of BMF, said. The report claimed the level of self-censorship continues to be very high in the country. Many journalists avoid covering sensitive issues in the fear of appearing to challenge the social order. “Self-censorship or censorship generally is not necessarily bad because every society has censorship in general and self-censorship in particular. Bhutan has quite a high level of self-censorship because we are a small society, close-knit society, we have a lot of sensitivity, a lot of sensibilities to take care of,” Needrup Zangpo said. The report mentioned the main daily newspaper, Kuensel, still belongs to the state while the state-owned Bhutan Broadcasting Service lacks editorial independence. The report also highlighted that privately owned publications continue to battle sustainability concerns. Among the SAARC countries, Bhutan is ranked at the top followed by the Maldives this year. The post Bhutan press freedom improves, not something to be excited about says BMF appeared first on BBS.